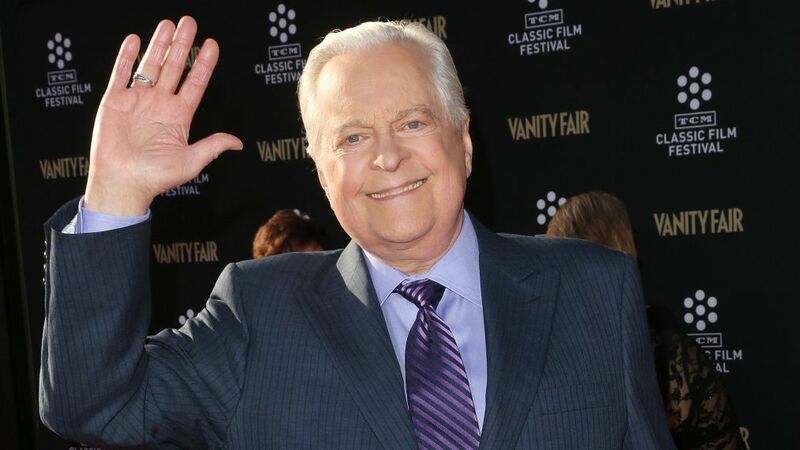 Turner Classic Movies host Robert Osborne at the 2013 TCM Classic Film Festival. Osborne was with TCM since its launch in 1994. TCM Remembers Robert Osborne (Saturday-Sunday, starts at 6 am/5c, TCM): One of the greatest friends and fans vintage Hollywood ever had, columnist-turned-TV host Robert Osborne was the face, and heart and soul, of Turner Classic Movies for 23 years. He passed away earlier this month at 84, but will live on through the many specials and Private Screenings interviews he did for the channel, many of which will be reprised in a weekend-long marathon of Osborne’s best interviews with the legends he revered, and who loved him right back. Among the highlights: Private Screenings chats with Debbie Reynolds, Liza Minnelli and Betty Hutton, and from the Live From the TCM Classic Film Festival series, sit-downs with Peter O’Toole, Eva Marie Saint, Kim Novak and Luise Rainer, who was 101 at the time. Striking Out (Friday, Acorn TV): This Irish charmer, making its U.S. streaming debut just in time for St. Patrick’s Day, is like a legal Grey’s Anatomy, opening with a rom-com flourish when Dublin lawyer Tara Rafferty (Amy Huberman) finds her fiancé—who’s also the boss’s son—in a compromising position on the night of her bachelorette party. Packing up her office quicker than you can say Diane (The Good Fight) Lockhart, she sets up shop in a local café—which brought up fond memories of my favorite bowling-alley lawyer, Ed—and proves that even a broken heart isn’t an impediment to getting the job done for her needy clients. Only four episodes, so a manageable binge. Marvel’s Iron Fist (streaming Friday, Netflix): The latest Marvel superhero to get his own Netflix gig is in many ways the most conventional: especially when compared to Daredevil, Jessica Jones and Luke Cage, all of whom Iron Fist will eventually join forces with in the future series The Defenders. This 13-episode season, which at times plays like a kung fu Arrow, introduces us to Danny Rand (the scruffily affable Finn Jones), a billionare’s son presumed killed with his family 15 years earlier when their plane went down in the Himalayas. Raised by warrior monks, Danny returns to NYC to reclaim his heritage, aided by mad martial-arts skills and the afore-mentioned iron fist, a glowing appendage that can burst through walls and fell an elevator full of assailants when Danny puts his mind to it. Feud: Bette and Joan (Sunday, 10/9c, FX): Things get really ugly on the set of What Ever Happened to Baby Jane? between Bette (Susan Sarandon) and Joan (Jessica Lange) as filming heads toward the infamous death scene on the beach—and personally awkward for Bette when her daughter B.D. (Mad Men’s Kiernan Shipka) lands a small part and discovers to everyone’s chagrin that talent may not run in the family. Inside Weekend TV: ABC News’ Truth and Lies: The Family Manson (Friday, 9/8c) relives the terrifying ’60s crime spree of cult killer Charles Manson and his tribe of acolytes, and includes new video from Manson’s last interview from prison. … Having covered the most tumultuous presidential campaign in recent history, Showtime’s docu-series The Circus: Inside the Greatest Political Show on Earth returns (Sunday, 8/7c) to chronicle the new president’s equally turbulent first 100 days. … Jan Maxwell, a memorable villainess in last summer’s BrainDead, plays the vice president on CBS’s Madam Secretary (Sunday, 9/8c), during which Elizabeth (Téa Leoni) endangers a global climate treaty when China reacts badly to her meeting with the ailing Dalai Lama. (The real Dalai Lama is interviewed Monday on National Geographic Channel’s Explorer.) … E!’s Keeping Up With the Kardashians (Sunday, 9/8c) relives the trauma of Kim’s robbery at gunpoint in Paris. … A best-of recap from last September’s Farm Aid 2016 (Sunday, 10/9c, AXS TV) features performances by Willie Nelson, John Mellencamp, Dave Matthews and Tim Reynolds from the annual fund-raising concert in Virginia.